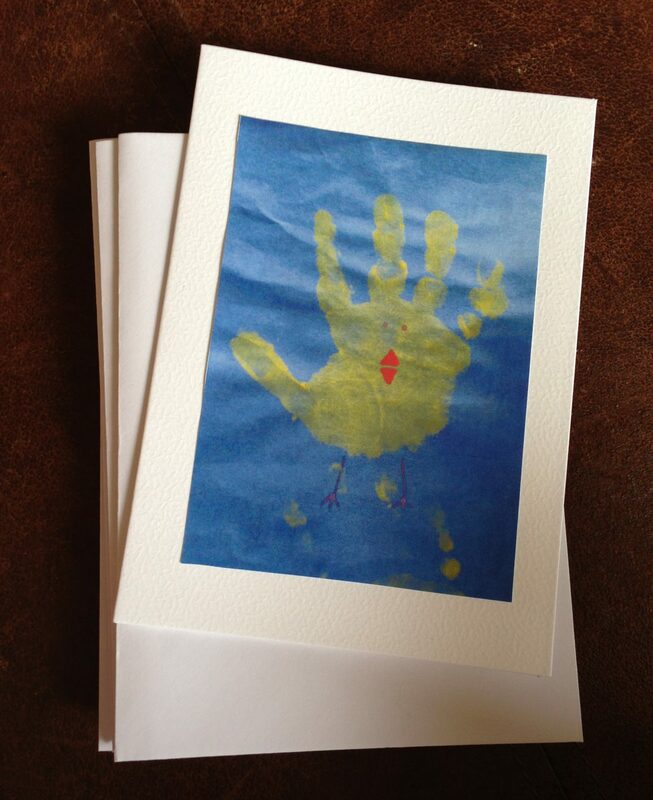 Following the theme of hand print fun, last week we got messy with the paints to create some Easter cards. Hand print animals are really easy to do and require few materials. 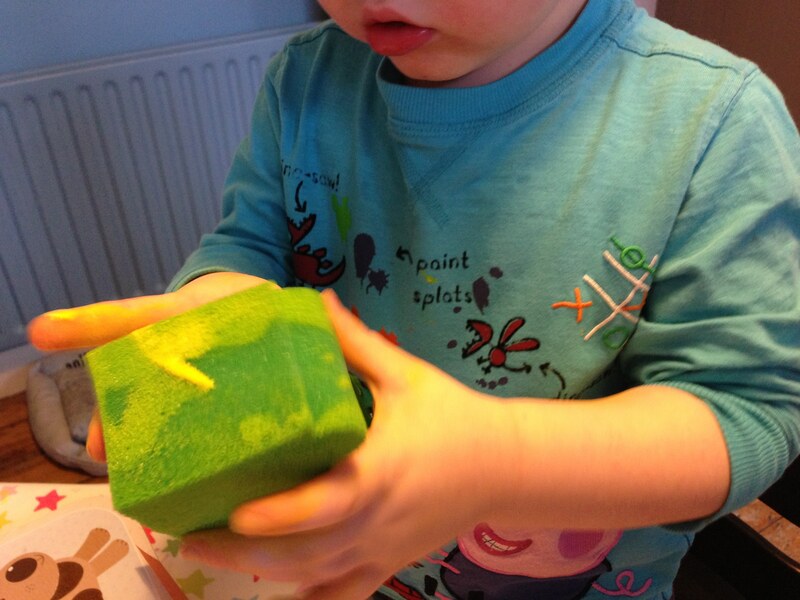 We added a good dollop of yellow paint onto the paint tray and the toddler sponged it onto one hand before carefully pressing his hand down on to a sheet of paper. 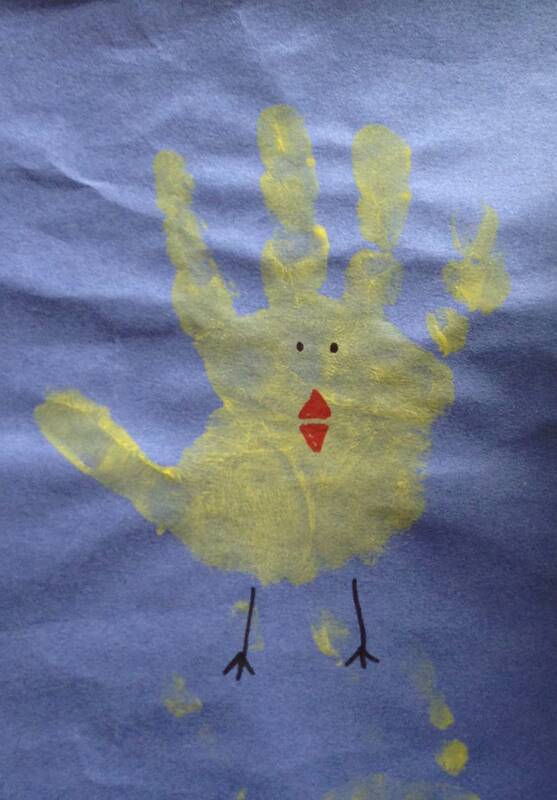 We left the hand prints to dry over night and then I added some legs, eyes and a beak with sharpies. As we wanted to make these into cards we then glued them onto blank cards and we love them more than last years’ finger print chicks!